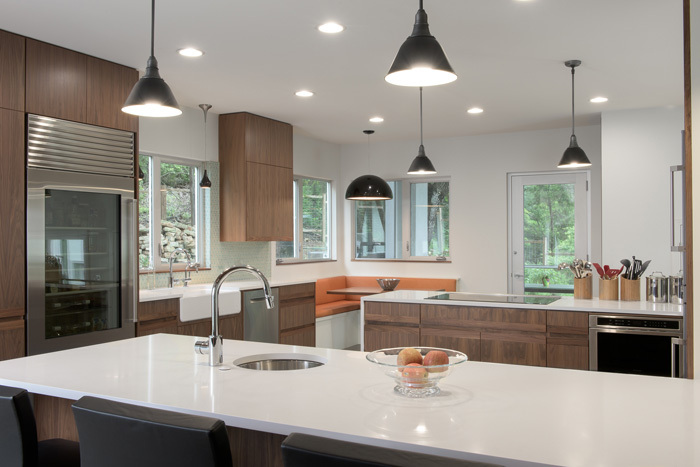 This remodel opened up a dark Westlake kitchen. 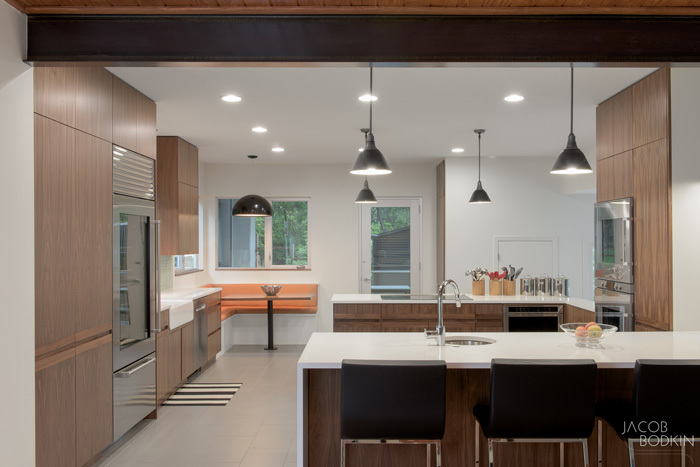 Structural steel picked up the second story above, allowing the kitchen and dining room to open up to each other. 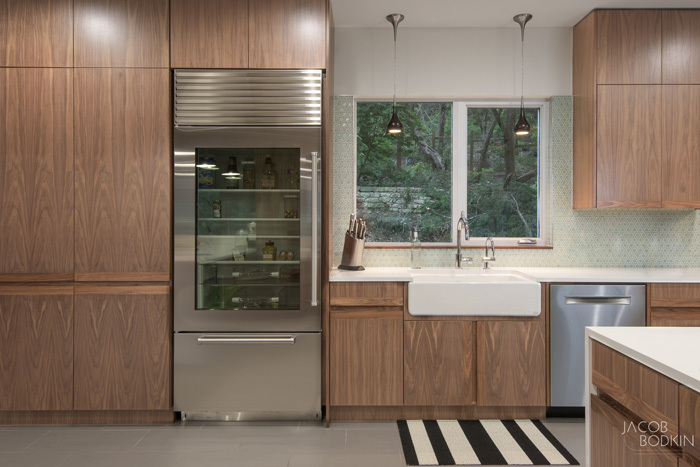 The kitchen was finished in custom walnut cabinets with sleek hardwood pulls to avoid hardware. 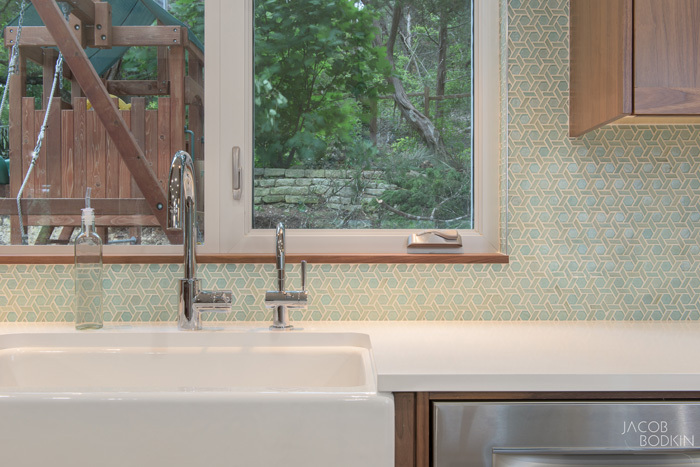 Waterfall white silestone countertops, stainless steel, and green handmade geometric backsplash tiles round out the palette. 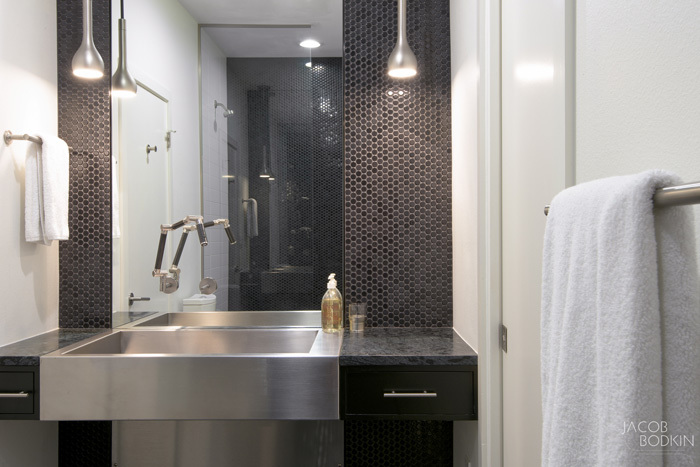 The powder bath was a study in black and white, using black penny tiles and soapstone to compliment white subway tile and white gyp. The mirror and sink form a floor-to-ceiling stainless steel and glass stripe.